It's a strong start to the year when you've got the likes of Footsie joining you on your new single. Whilst K2 World isn't an unknown name in the scene, any track gets lifted when this Newham General jumps on it. 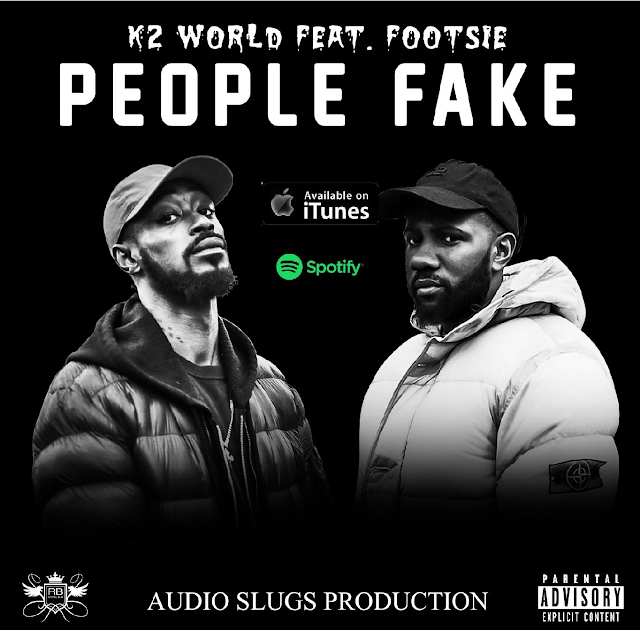 K2 and Foots flow over an Audio Slugs production in which they describe how they detest unhonest others for 'People Fake'. No music video as of yet, but you can stream K2's new single below on Spotify, purchase on iTunes, plus follow the pair on Twitter too - @K2World & @Footsie.